We’re just a month away from the biggest week of the year in national hunt racing as the Cheltenham Festival provides us with 28 fantastic races to bet on across four days of action. The jockeys, trainers and owners have been waiting all season for this because if you win at Cheltenham, particularly one of the Championship races, you are remembered forever. Here is a look at the three best bankers for the meeting this year. Altior should be able to get you off to a flying start on day one of the Cheltenham Festival in the Arkle Trophy where he can help his trainer Nicky Henderson win this race for a record sixth time. Last season’s Supreme Novices’ Hurdle winner has looked equally impressive over fences, if not better than the form he showed over hurdles. Rather than take the natural route to the Champion Hurdle following a successful novice campaign, Henderson took the brave call to go chasing with his stablestar and that decision looks set to be justified. The seven-year-old has won all four of his starts this season, including the Grade One Henry VIII Novices’ Chase at Sandown. The BHA have given him an official rating of 170 following his most recent victory in the Game Spirit Chase where he defeated Fox Norton by 13 lengths. There were some people calling for Altior to go straight to the Queen Mother Champion Chase rather than taking the novice route, however, Henderson has resisted that temptation. He can be backed at a top price of 1/3 to land the 2m contest. The biggest threat to Altior’s chances in the Arkle Trophy would have been Min who finished seven lengths behind him in the Supreme Novices’ Hurdle in 2016. Irish Champion Trainer Willie Mullins’ horse looked to have improved over fences and was tipped in Ireland to have a great chance in the race. Sadly for connections he picked up an injury a couple of weeks ago and will now miss the Festival. It’s very rare to have a novice chaser at the head of the Cheltenham Gold Cup betting but as you can see on the Oddschecker comparison page, Thistlecrack is a top price of 15/8 to land the Blue Riband event of the meeting this year. Colin Tizzard’s runner was one of the most impressive winners of the Festival in 2016 when he surged, clear jumping the last in the World Hurdle. He made his chase debut back in October at Chepstow where he jumped well in his introduction to fences under rules. Thistlecrack kept up his winning run since switching to chasing at Cheltenham and Newbury in his next two starts. His most impressive performance of the season though came in the Grade One King George VI Chase at Kempton where he was taking on his stablemate and defending champion Cue Card. The novice was too strong in their battle and won easily under the hands of jockey Tom Scudamore. The one blip on Thistlecrack’s record this season came on his most recent run in the Cotswold Chase at Cheltenham where he had to settle for second place behind Many Clouds. The encouraging thing about that outing was there can be no suggestions he did not stay the trip at Cheltenham, he simply got out-battled by a former Grand National winner. He will have learnt so much from that outing which should stand him in good stead for the Gold Cup next month. Connections should be applauded for being ambitious with their horse. The most natural contest this season for the nine-year-old would have been the RSA Chase for novices, but given how easily he scored in the King George VI Chase, they knew they had to go straight to the Gold Cup with their horse. As we have seen with Coneygree and Don Cossack, the last winners of this race, you have to take your chance when your horse is fit as it is not easy keeping these chasers fit every season. Unless he makes a huge mistake somewhere round the 3m2f trip, Thistlecrack should be able to give Tizzard his first success in this contest. Mullins has had a difficult season so far with setbacks to so many of his stablestars including Faugheen, Annie Power and Min. 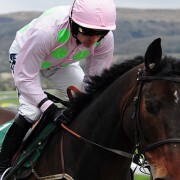 He will though be expected to win the Queen Mother Champion Chase where Douvan will be aiming to win at his third straight Cheltenham Festival after success in the Arkle Trophy 12 months ago and the 2015 Supreme Novices’ Hurdle. There is no such thing as certainty in horse racing but Douvan must be as close as you can get to it next month. The seven-year-old has just looked unbeatable since switching to fences and is arguably the most exciting horse in training today. Douvan has had three runs already so far this season. 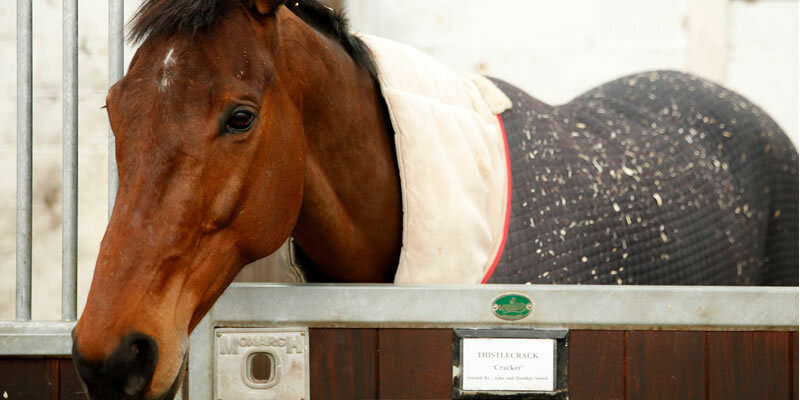 He made his seasonal reappearance at Cork where he won by 22 lengths in a Grade Two chase. Mullins’ horse then stepped up in class to prevail in a Grade One contest at Leopardstown at their Festive meeting. In his final run before Cheltenham, the Irish horse kept up his unbeaten record over fences to score in the Grade Two Tied Cottage Chase where he looked really sharp at Punchestown to suggest he is in great shape ahead of the Queen Mother Champion Chase. 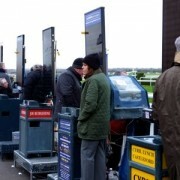 If you are looking to bet on the Festival, all 28 races have been priced up by the bookmakers, while some firms have already given non-runner no-bet offers so if your horse does not run in your selected race, you will get your money back.